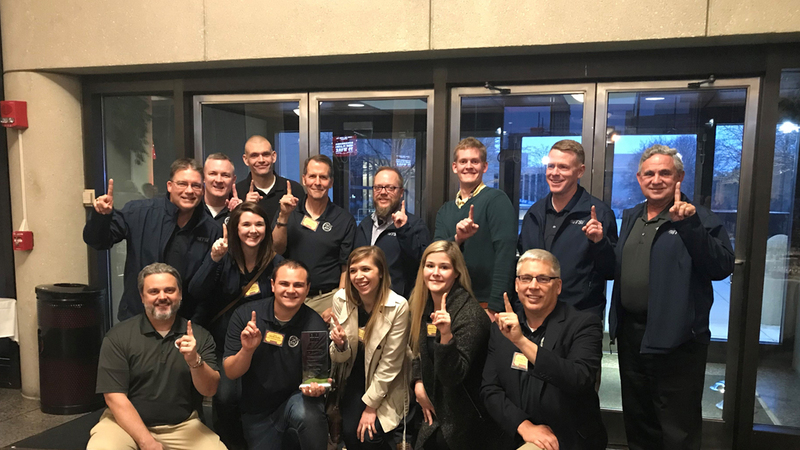 MTSI Named to Dayton 2019 Best Places to Work – Modern Technology Solutions, Inc.
MTSI was recently named by the Dayton Business Journal as the #1 Best Place to Work in Dayton in the medium size business category (50-199 employees). The official announcement was made at the 2019 Dayton Best Places to Work awards ceremony at Sinclair Community College. All 42 companies represented at the dinner had been selected as Best Places to Work for 2019. MTSI was selected as the top workplace in the medium size business category out of 18 total companies. CLICK HERE to read the full Dayton Business Journal summary of their Best Places to Work awards ceremony. A special thank you goes out to the MTSI Dayton team as this was the eighth year that the MTSI Dayton office was named either a Best Place to Work or Top Workplace, and this the third time as #1 in category.